The CDC is using a range of methods to calm the fears of hospital workers and the public about Ebola. 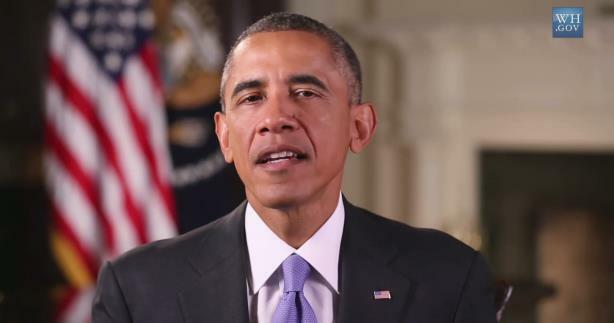 The CDC posted a spot of President Barack Obama saying, "We can’t give in to fear." The Centers for Disease Control and Prevention is taking no days off in its crusade to stop the fear of Ebola from spreading across the country. The federal agency held a conference call with the Department of Health and Human Services on Monday for healthcare workers – a tactic that will become a regular occurrence. Other efforts include webinars "tailored to specific healthcare specialties on preparedness" and conference calls with professional organizations. On Tuesday, the CDC will livestream an event with the Partnership for Quality Care and the Greater New York Hospital Association. Over the weekend, the CDC also posted a spot of President Barack Obama saying, "We can’t give in to fear," and pointing out that the US is not experiencing an "outbreak or "epidemic." Obama goes over some facts and dispels myths about the disease, attaching the world’s most powerful office to the CDC’s efforts. The CDC also answered questions and dispelled myths about the virus over the weekend in Ebola Facts posts. On Monday afternoon, the CDC posted another visual: a flow chart that details in both text and pictures how a new case of Ebola is diagnosed, including tracking contacts for 21 days. There have been three diagnosed cases of Ebola in the US – all in Dallas – though unrelated scares have taken place in New York City and outside Washington, DC, at the Pentagon. Two nurses who contracted the disease after treating a patient who eventually died from it have been moved to Atlanta and Bethesda, Maryland. In total, Ebola has claimed more than 4,400 lives with nearly 9,000 cases confirmed – nearly all in Africa – according to the CDC.